Warm and mostly pleasant weather on tap for weekend and most of coming week. 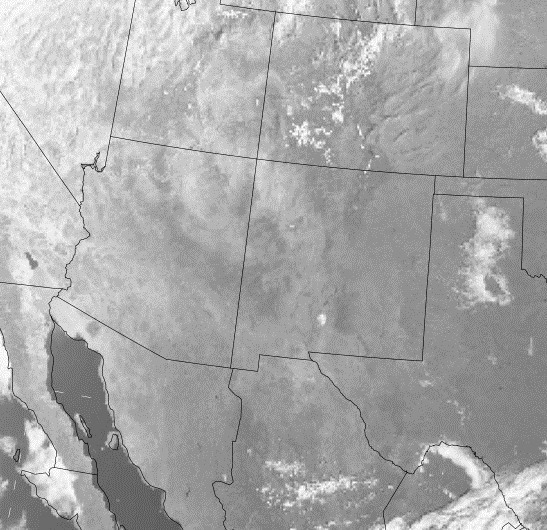 Visible satellite image above for 8:30 pm MST shows "severe clear" over Arizona, New Mexico, and northwestern Mexico. The GEFS plumes from 06 UTC last night below are for precipitation and PW at the airport. Rainfall possibilities flat-lined and PW ranges dry to very dry. Wind plumes indicate that Halloween could be breezy. That about sums things up. Chamber of Commerce weather prevails for southern Arizona. Morning Storms - More This Afternoon? Widespread Rain On 7th - More By Late In Week?